If you live in Manhattan you know that there is always some type of construction work going on, whether there are new buildings being built or renovations and repairs taking place. While construction work makes various buildings in the borough look and function better it aslo results in a lot of waste around the construction site. Construction cleanup in NYC comes in two different categories the clean up that occurs while construction in ongoing (which may takes weeks, months, or years) and the cleanup that takes place once the construction is complete to ensure that the building is ready for occupation. 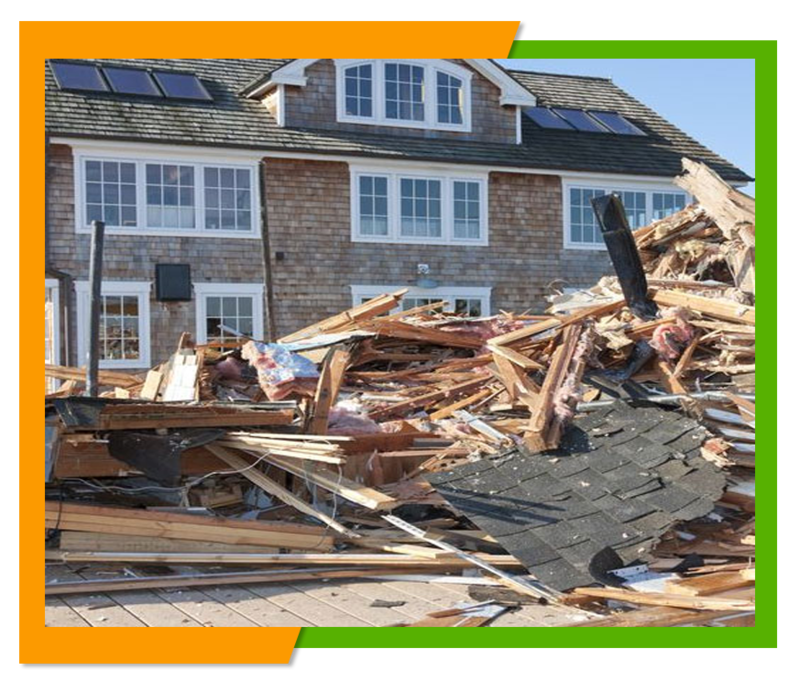 Here at Flat Rate Junk Removal we can take care of all of your on going construction cleanup needs, hauling away those scraps of building materials or those old materials removed during that renovation project whether you need those materials removed on a daily, weekly or some other basis. Even if your project takes months or years we can schedule ongoing construction cleanup to keep the site free debris leaving you and your crew space to work. After construction cleanup consists of dusting down the walls, windows, mirrors, lights, fans, window sills etc. and sweeping and mopping floors and removing any last minute garbage and debris to prepare the building for occupation. 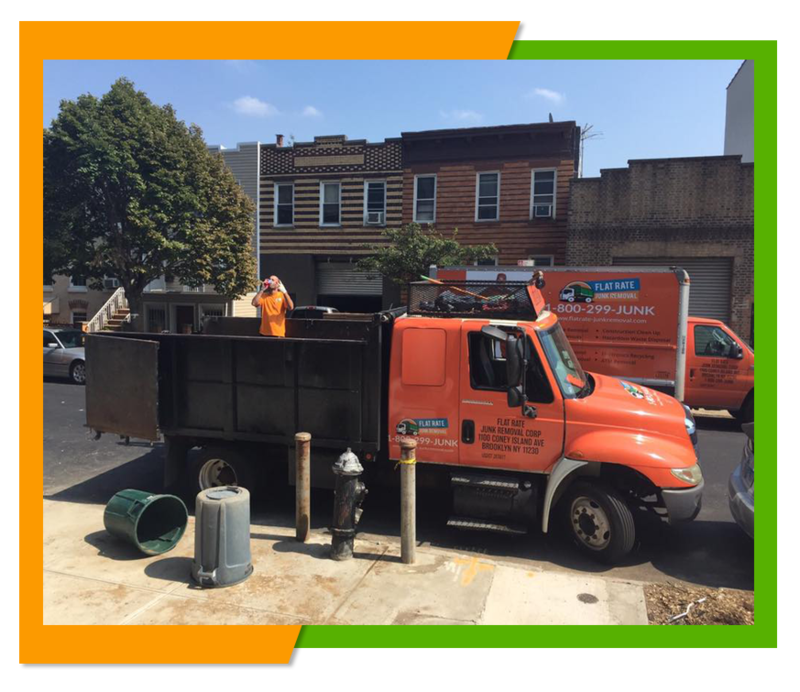 We are more than happy to attend to the after construction cleanup as well as the on going construction cleanup so that you will not have to deal with two different companies to meet your construction cleanup needs. Whether you are making those home renovations yourself, or have hired a construction company to work on home or are a builder working on a commercial construction site we can take of those construction cleanup needs, freeing you to complete your building project on time without the hassle of disposing of that construction site waste. When we remove your construction waste you will always know the pricing up front. Since we charge a flat rate, you won't ever find additional unexpected charges added to your bill, you will know what all of your expenses are right from the start. We treat our customers like we want to be treated and no one wants to find any additional expenses added to the estimate after the work is underway or completed. Most of our customers find that are flat rate fees easy to understand and in keeping with their budget. We even offer a free estimate so you will know our charges before you hire us. If you would like a free estimate for our services just give us a call and we will send someone to your location and look over the job and give you a free written estimate based on the amount of loads you will need us to remove. To get your free estimate or schedule your construction cleanup just give us a call at 1-800-299-5865.